Years ago, to elope meant to either go to the courthouse and sign some papers, or take a spontaneous road trip to Las Vegas and get married in a tiny chapel by Elvis. But eloping has become so much more than that now! Couples are putting much more thought and intention into their elopement. They’re choosing to elope because they want a highly intimate, personal, carefully planned experience, while they make this most important commitment to one another. If you’re dreading the idea of planning a big wedding, spending tons of money on things that don’t really matter to you, or being the center of attention in front of hundreds of guests, an adventure elopement might be right for you. I love being an adventure elopement photographer. I love the intimate, intentional aspect of it. I love finding amazing locations for gorgeous photos. I love helping couples design the wedding day of their dreams, with the focus on just the two of them, two tiny specs of star dust in the universe, choosing to commit their lives to one another. I love that you are intentionally choosing to make this commitment, in a beautiful place, in nature, with the presence and energy of the universe surrounding them. You are my people. When Scott and I were going to get married, I really didn’t want a regular wedding. I didn’t want to go through the stress of planning and spending all of our money on it, just so that everyone else could eat and have a good time. I didn’t want to be in the spotlight. I wanted our day to be for us. We decided to elope in Sedona, Arizona. We chose to have a small, meaningful ceremony in the shadow of Cathedral Rock. If there’s one thing I regret, it’s that we didn’t have a professional photographer. I know- isn’t that sad! I have a few photos that the officiant took for us, but I really wish I had invested in a wedding photographer. At the time, I just didn’t want to deal with it. It was the worst mistake. Anyway, enough about me- let’s talk about you! If you’re thinking of planning an elopement, I would love to help you! I’ve traveled to many locations- worldwide- that are breathtaking. Being in a location like that while you both say “I do” is an experience that can’t be described in words. 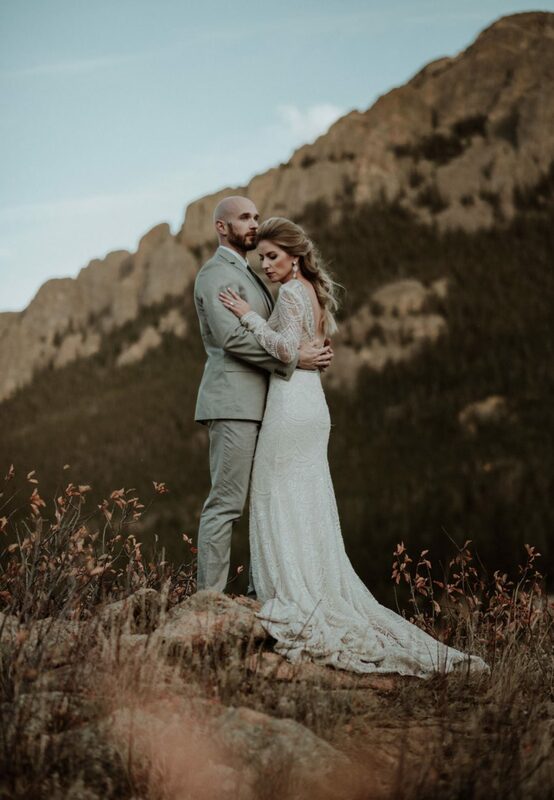 The way I define an elopement is an intimate ceremony, where two people pledge themselves to each other, with or without a small gathering of family and/or friends there to witness it. The focus of the day is on the couple- not an elaborately planned out production. It can be an adventure to the top of a mountain where vows are exchanged in private with the universe as a witness. It can be an intimate ceremony in a chapel in Iceland. Or gathering your closest friends and taking a trip to a cabin in Banff. Can we just get a couple of hours of photography? My work is based on capturing emotive, meaningful images that tell a story of love and connection. This is more than just "a couple of hours of photography", it's an experience. I will be there to document this day in your life- because it's no ordinary day. This is the day that you two will become one, and you deserve the whole story to be told in amazing photographs! What's the difference between an elopement and an intimate wedding? The terms "elopement" and "intimate wedding" can be somewhat interchangeable to me. Both share the intent of having the focus be on the couple, exchanging vows, in an intimate setting. If you're traveling somewhere away from home for your wedding, and have under 30 people sharing the experience with you, then I'd call it an elopement and these rates would apply. What would you do if money were no option? Adventure Elopement photography packages are all-inclusive. You don’t have to worry about making travel arrangements for me, finding me transportation, or feeding me. I’ll help you with all aspects of planning- choosing the perfect location, how to get there, what to pack, what to expect, park permit and regulation info. All you have to do is choose your collection and reserve your date!